Sonatas, Screams, and Silence: Music and Sound in the Films of Ingmar Bergman is the first musical examination of Bergman’s style as an auteur filmmaker. It provides a comprehensive examination of all three aspects (music, sound effects, and voice) of Bergman’s signature soundtrack-style. 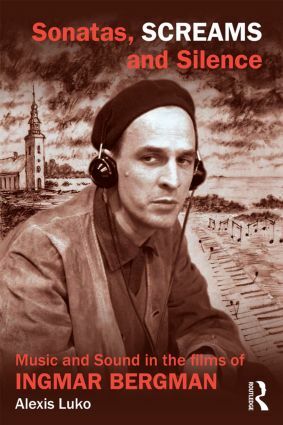 Through examinations of Bergman’s biographical links to music, the role of music, sound effects, silence, and voice, and Bergman’s working methods with sound technicians, mixers, and editors, this book argues that Bergman’s soundtracks are as superbly developed as his psychological narratives and breathtaking cinematography. Interdisciplinary in nature, this book bridges the fields of music, sound, and film.